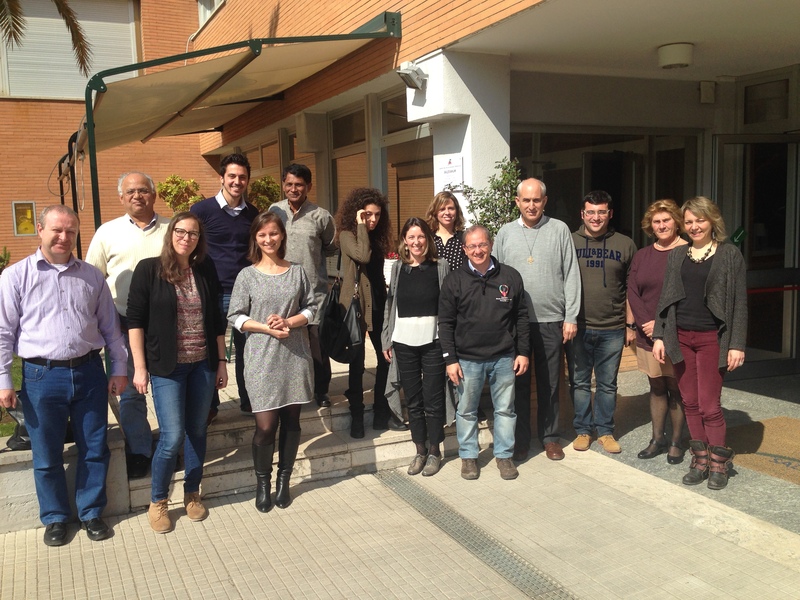 13 – 15 March 2017 Don Bosco Network is hosting in Salesianum in Rome a set of Working Group meetings. The representatives of various Salesian organizations: Via Don Bosco – Belgium, VIS – Italy, Missioni Don Bosco – Italy, SWM – Poland, Don Bosco Missions – Germany, Don Bosco Mondo – Germany, Jovenes y Desarollo – Spain, BoscoNet/PARA – India, Don Bosco International and Salesian Past Pupils, gathered to share experiences, materials, best practices and plan effective cooperation in various fields of work and support to Salesian Mission worldwide. On Monday the 13th of March with the presence of Fr Guillermo Basanes the Councilor for the Missions, and Fr George Menamparampil the Coordinator of Mission Offices, the Development Education Working group shared work experience, materials and planned effective cooperation in the education of young people in Global Citizenship and Salesian Missionary work. During the meeting a Global Education trainer from OXFAM, an international NGO, facilitated an input on effective Development Education projects on European Union level underlying importance of using modern means of social communication and online platform in engaging with young people and teachers. On Tuesday the 14th of March Salesian Family organizations with the presence of Fr Fabio Attard the Councilor for the Youth Ministry, Fr Guillermo Basanes the Councilor for the Missions, and Fr George Menamparampil the Coordinator of Mission Offices planned synergy and cooperation in Human Rights Advocacy work on international level. The group is working on policy documents in Sustainable Development Agenda, Youth Unemployment and Skills Agenda, Youth Participation, and how to do Salesian Advocacy. European Union Fundamental Rights Agency accompanied the meeting with their expertise in Advocacy work. On Wednesday the 15th of March Don Bosco Network Development Cooperation Working Group with the presence of Bro Jean Paul Muller the Economer General, Fr Guillermo Basanes the Councilor for Missions and Fr George Menamparmpil the Coordinator of Mission Offices is planning effective support and coordination in: Emergency Response of the Salesians in countries affected by disasters, PDO capacity building and Don Bosco Tech Africa (Network of Salesian Technical Schools in African Region).